It’s market time! Farmers Markets around Columbus open in most communities in mid-spring. Farmers’ Markets are the best place to buy local produce through the Ohio growing season. You’ll get the freshest produce (often picked that morning) at a fair price, and help put money back in the local community. Many farmers’ markets also offer craft items, soap, honey, baked goods, plants, and more in addition to the wonderful produce. There are farm markets open nearly every day of the week all over the city. Stop by these markets this year to check them out! Hilliard Farm Market: May 28-September 10 from 4-7 p.m., at Hilliard United Methodist Church (5445 Scioto Darby Rd. Hilliard). Food trucks will be on site too! Downtown Pearl Market: May 24 – October 11 from 10:30 a.m. – 2 p.m. at Gay Street and Pearl Alley. (Also held on Fridays). Plenty of produce, handmade goods, baked goods, and food trucks! Upper Arlington: June 5 – September 25 from 3 – 6 p.m., Tremont Pool Parking Lot, 2850 Tremont Rd. Upper Arlington Farmers’ Market location is being finalized. Watch for updates here and on social media @CityofUAPR. Franklin Park Conservatory Farmers Market: June 5 through September 4 from 3:30 – 6:30 p.m.at FPC 1777 E. Broad Street. The Conservatory’s Farmers’ Market is located outdoors in the main Conservatory parking lot, just off of East Broad Street and two miles east of downtown Columbus. The Farmers’ Market offers a mix of local produce, baked goods, specialty foods, and health and beauty products. 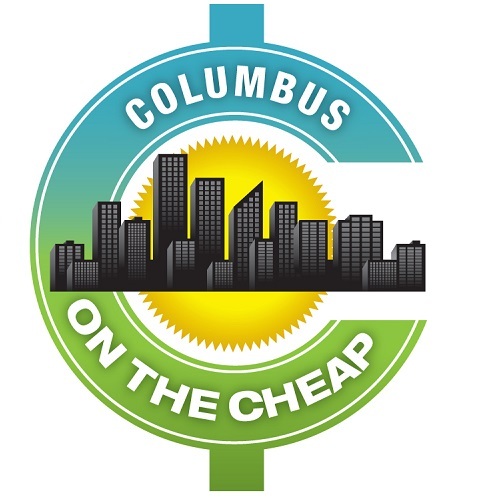 The Market accepts EBT for all qualifying purchases and offer incentive dollars through the Produce Perks Columbus program (formerly known as Veggie SNAPS) for fresh produce for all EBT users. Bexley Farmers’ Market: May 23 through October 24 from 4 -7 p.m., at the intersection of Dawson and Main, rain or shine. Downtown Pearl Market: May 24 – October 11 from 10:30 a.m. – 2 p.m. at Gay Street and Pearl Alley. (Also held on Tuesdays). Plenty of produce, handmade goods, baked goods, and food trucks! Clintonville Outdoor Saturday Market: April 27 through November 23, 9 a.m. – 12 p.m., N. High Street, between Orchard Lane & W. Dunedin Rd, Columbus, 43214. Seasonal, locally-produced, freshly-harvested Ohio food and lots of fun. Ohio Direction Card, Debit and Credit cards accepted at market information tent. We are also a proud participant in the Produce Perks incentive program, which provides SNAP customers with a $1-for-$1 match up to $20 per market. Canal Winchester: May 25 through September 28 from 9 a.m. – 12 p.m., in Historic Canal Winchester 36 South High St.
North Market Farmer Market: June through October from 8 a.m – 1 p.m. on Saturdays, and 11 am – 4 pm on Sundays, at the North Market in the Short North. Ohio farmers bring their fresh-picked produce to North Market, where customers are able to purchase directly from the local farms selling the highest-quality products from their fields. Additionally, with the expansion of the Farmers’ Market to Sundays, we aim to combine local farms and local entrepreneurs selling hand-made & vintage items, fine arts & jewelry for a bigger, more eclectic and experiential Farmers’ Market. Westerville Saturday Uptown Market: May 18 through October 12 from 9 a.m. – 12 p.m. on Grove Street on the Otterbein campus. Worthington Farmers Market: May through October from 8 a.m. – Noon, at 39 West New England Avenue in downtown Worthington near Worthington Inn (Central Ohio’s largest farmers market with 70+ vendors). A smaller indoor market runs from October through April in the Shops at Worthington Place from 9 am – noon. HTH Farm Market: April 1 through December 22. Monday through Friday from 10 a.m. – 5:30 p.m. and Saturday from 9 a.m. – 6 p.m, and Sunday from 9 a.m. – 5 p.m. at 2395 W. Dublin-Granville Rd. in Linworth across from Village Bookstore. After the growing season, they will stay open through Christmas Eve with market goods and Christmas trees. Thanks! The website was still live and appeared updated. I’ve removed it. Dublin farmers market at Oakland nursery is incorrect. They no longer have this . Thank you! I’ve made the change.